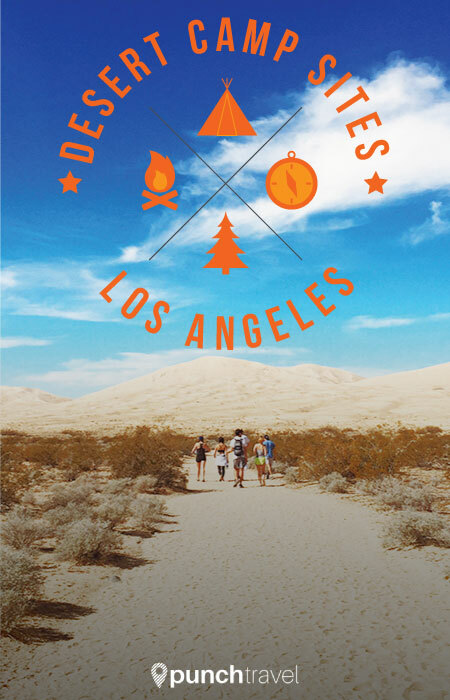 The expansive desert east of Los Angeles offers a unique getaway for nature lovers, and the chance for Angelenos to remember what stars look like above the city smog. Like a scene out of the movie, The Hills Have Eyes, an incredible variety of flora thrives in the otherworldly desert landscape that is unique to Southern California. 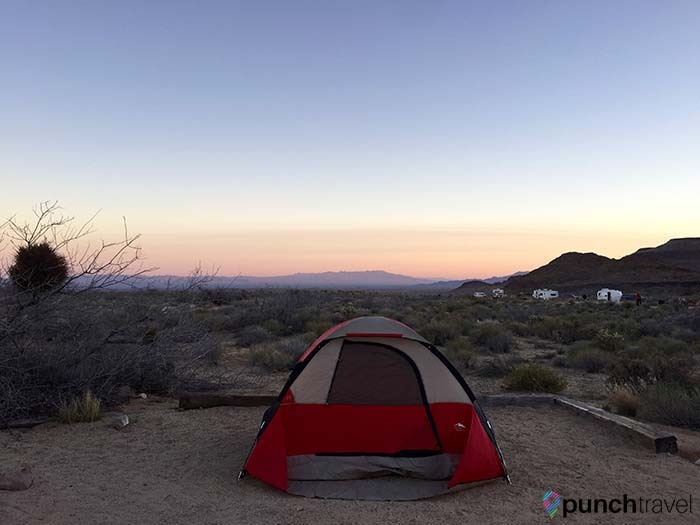 Here are some of our favorite spots to camp in the Mojave and Colorado deserts around Los Angeles. 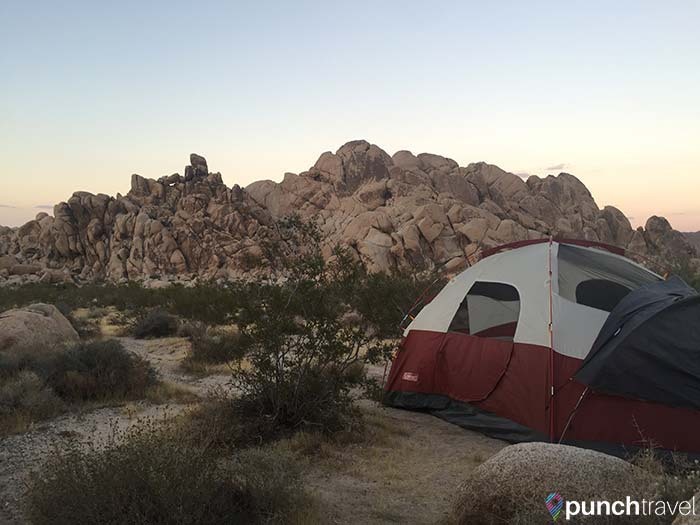 The bad news: this is every SoCal resident’s go to camping spot. The good news: this famous park covers an area greater than Rhode Island and features multiple campgrounds. 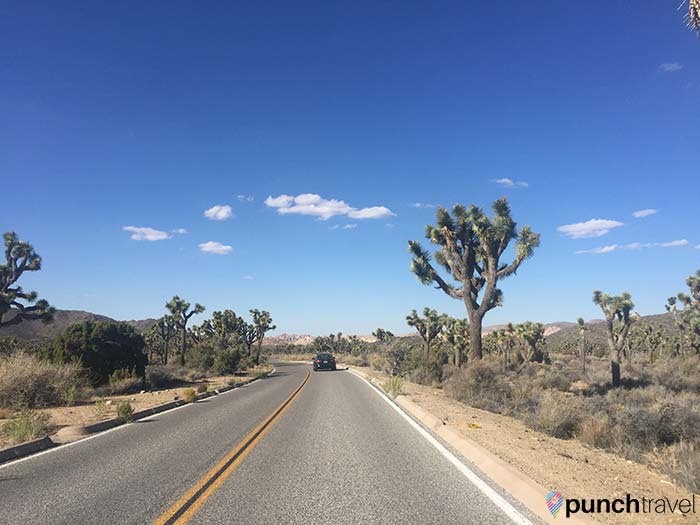 A travel time of just over two hours from LA (as long as you don’t leave on a Friday afternoon) makes even a day trip to Joshua Tree possible. 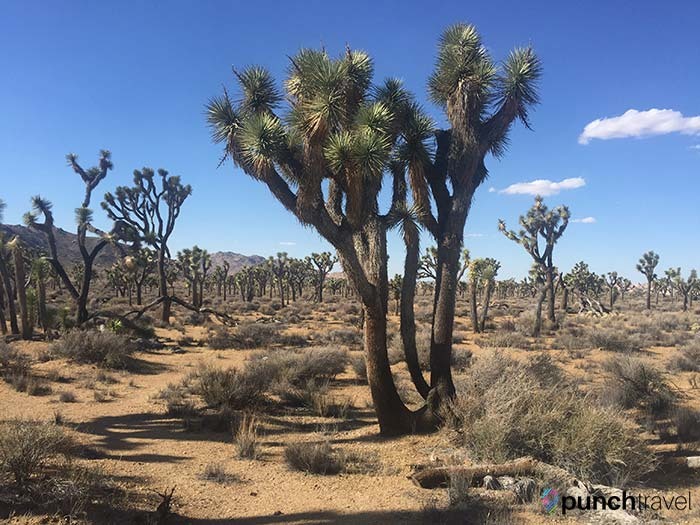 With its extensive hiking trails, bouldering sites, and perfect landscape for general climbing and exploring, Joshua Tree is both an outdoor enthusiast’s playground, as well as an ideal place for a Rodeo Drive groupie to make their first foray into the wild. 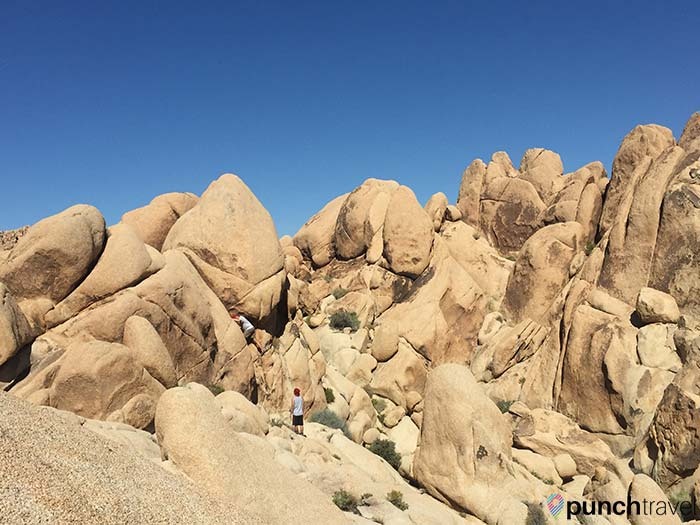 Favorite campground: Jumbo Rocks. Secluded and lots of opportunity to explore the backcountry. 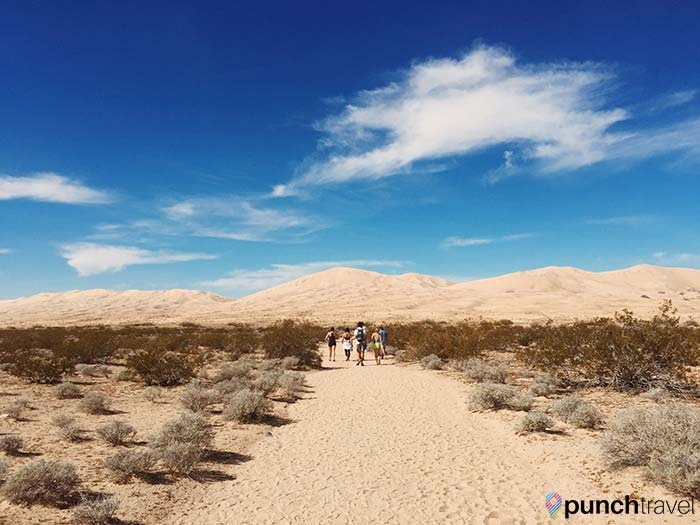 Sand dunes and lava tubes – what more do you need? Though you may grumble at the drive time from Los Angeles (about four hours,) your weekend will prove worth it. GET GAS WELL BEFORE YOU ENTER THE MOJAVE DESERT. Our caravan of cars paid exorbitant prices at the only gas station in the area, aptly named Oasis. Favorite campground: Hole-in-the-Wall, for its well-designed, fairly private, large flat sites. Don’t miss the 1.5 miles long Rings Trail just off the entrance to the campground. You’ll ascend through a narrow canyon by way of metal rings mounted to the rock face. 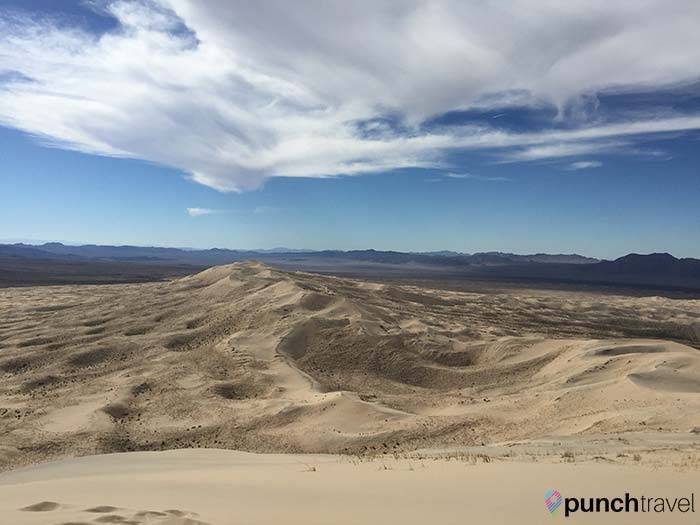 Kelso Dunes: The hike through the Kelso Dunes makes you forget you’re still in California. 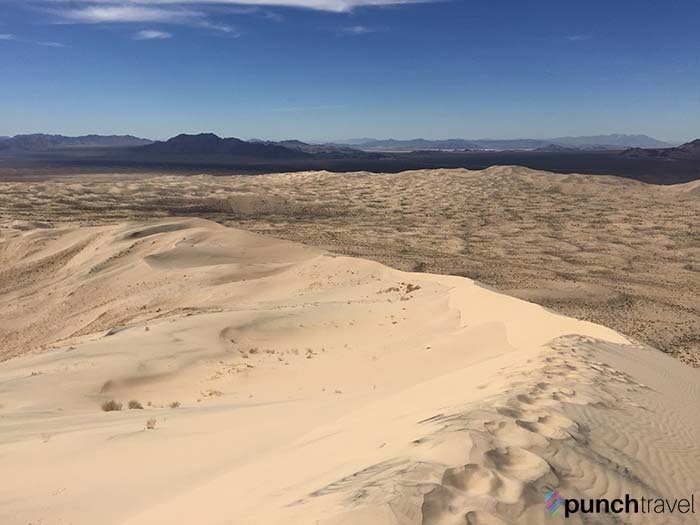 Though the distance to the top is not far, you’ll get in a real workout traversing the white sand, especially making your way up the steep inclines. 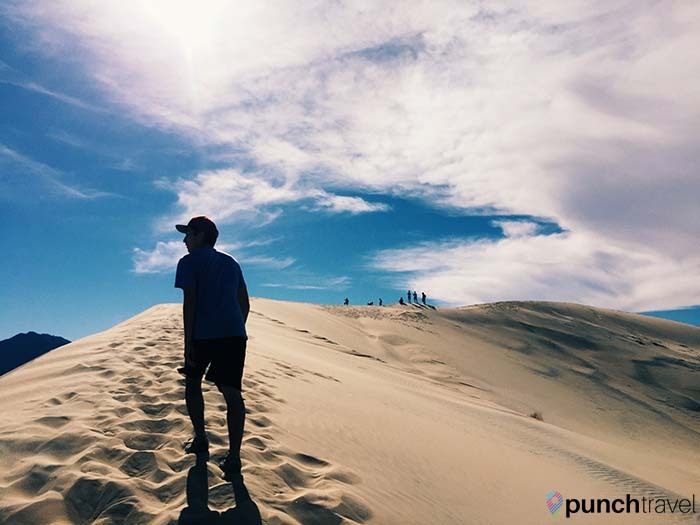 The dunes are known for the “booming” alien noises they make when your feet displace the sand as you climb. 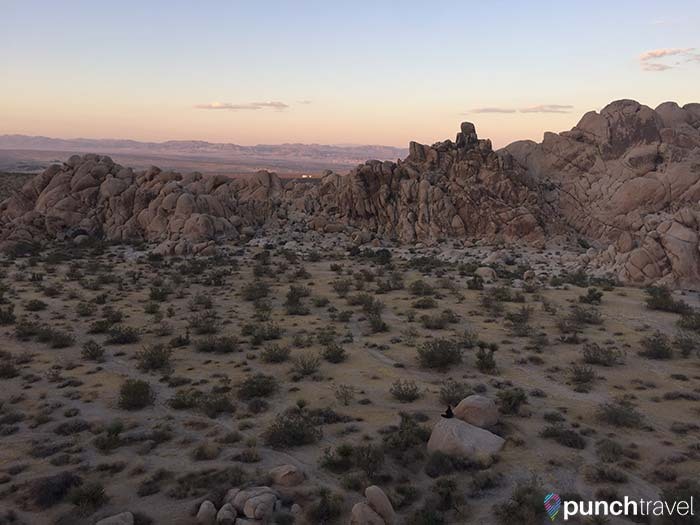 Once at the top, enjoy panoramic views of unadulterated desert as far as the eye can see. Lava Tube: Explore a short tunnel formed by cooled molten lava in the desolate desert of the Mojave. After enduring a somewhat sketchy off-road drive, the unique experience of being inside a lava tube reminds you of why you’re there. In truth, this park did not wow us as much as the other two. However, it matches in hiking opportunities, and ultimately, the attraction of Slot Canyon makes the visit to California’s largest State Park worth it. 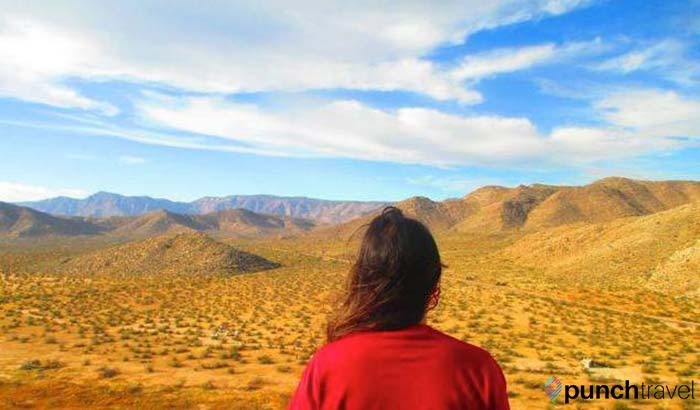 Additionally, Anza-Borrego is an ideal spot for last minute adventures because the park is one of only a few that allows backcountry camping without a permit. Just make sure you bring a metal container – such as a trash can lid- for a campfire, because ground fires are not permitted. The Slot: From the parking lot, walk opposite the clearly-marked trail to an unmarked drop-off into the canyon. Carefully make your way down the trench and soon you will find yourself weaving through narrow passageways between imposing rocky cliffs in eerie silence. The experience is one that reminds you how small you are (and also recalls 127 Hours, just hopefully not the arm detaching part.) Short and sweet, 0.8 miles later the trail opens up to a dirt road, leading back to the start. Tiffany has done a bit of international travel, including Istanbul, Dublin, and WWOOFing in France, but can also get down with a roadtrip in the States. She is led to new destinations either by their food or their hikes. Her favorite way to travel is by train, and her least, seaplane.